Available for Pre-Order. Pre-orders shipping April 30, 2019. 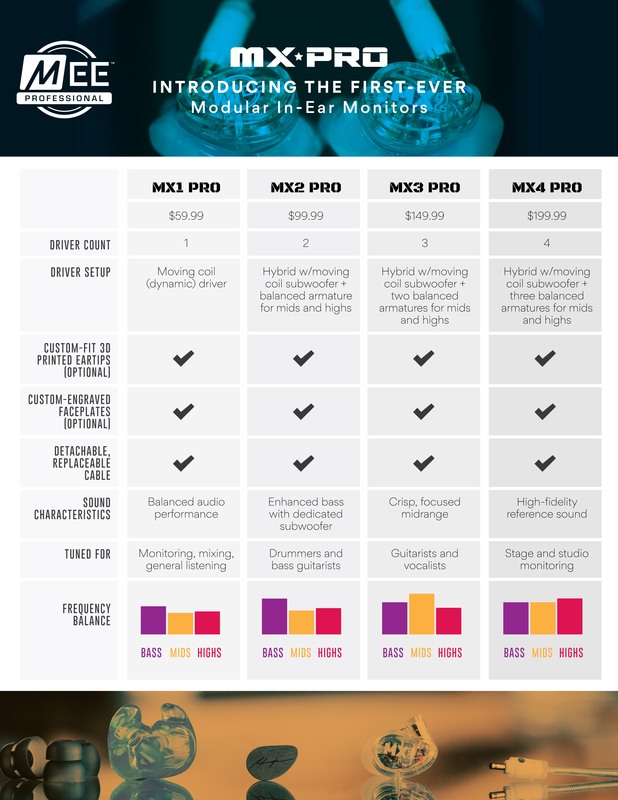 MX PRO in-ear monitors feature a fully modular design where all parts, customizations, and accessories can be changed or upgraded independently of one another, blurring the line between universal and custom in-ears. Choose one of four available driver configurations. Personalize your monitors with engraved metal faceplates and take your fit and comfort to the next level with our 3D-printed custom eartips.